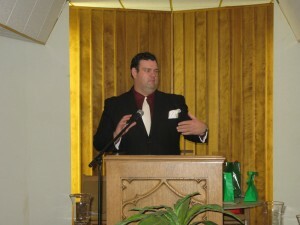 Cullen Manny founded and became the Executive Director of Living Abundantly Ministries in 2004. Cullen was born and raised in Lubbock, Texas. Cullen received his BS degree in Human Development and Family Studies from Texas Tech University in 1997. In 2001, Cullen received his Master’s Degree in Human Development and Family Studies from Texas Tech University. While in graduate school, Cullen became the office manager for two community based programs at Texas Tech University. Upon graduating in 2001, Cullen was given the opportunity to work in the same position, but on a full time basis. Cullen’s bosses allowed him to have a “flex” schedule, so in 2004 he began volunteering at an after-school program in East Lubbock one afternoon a week. While volunteering, Cullen saw how many children in the program were eager to connect with a positive role model. Our director has had a strong Christian influence in his life from birth. His maternal grandparents were pillars of the Baptist Church in Hedley, TX. When Cullen was in 4th grade, he started attending Lubbock Christian Schools, from which he graduated high school in 1993. About 4th or 5th grade, Cullen and his family began attending 1st Presbyterian Church in downtown Lubbock. In the summer of 1993, Cullen began attending Aldersgate UMC in Lubbock. He is still a member there. At Aldersgate he has served as head of college ministries, on the prayer team, on the finance committee, on the board of trustees, an usher and on the media team. Family is very important to our director. He and his daughter, Jayda, helps assist his parents who have faced many health challenges over the last few years. Cullen enjoys spending time with his family, and has now become the chef, family driver, and housekeeper.